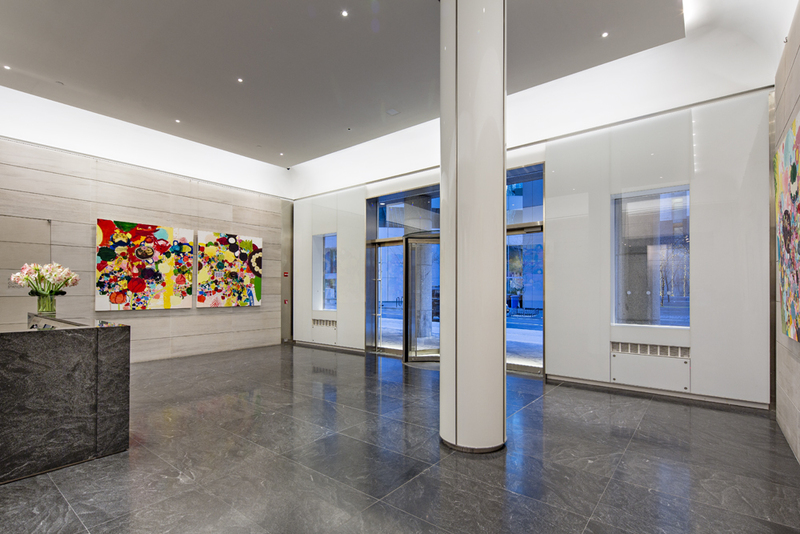 I am organizing a rotating series of exhibitions in the lobby of 527 Madison Avenue (at 54th Street), a boutique office building located in midtown Manhattan. The inaugural show is work by Tracy Miller, a Brooklyn-based painter represented by Feature Inc., and runs from January 15 – May 9, 2014. The opening reception is from 5 -7 and all are welcome; the exhibition will be on through May 9th, and can be seen Monday – Friday 9 – 5. 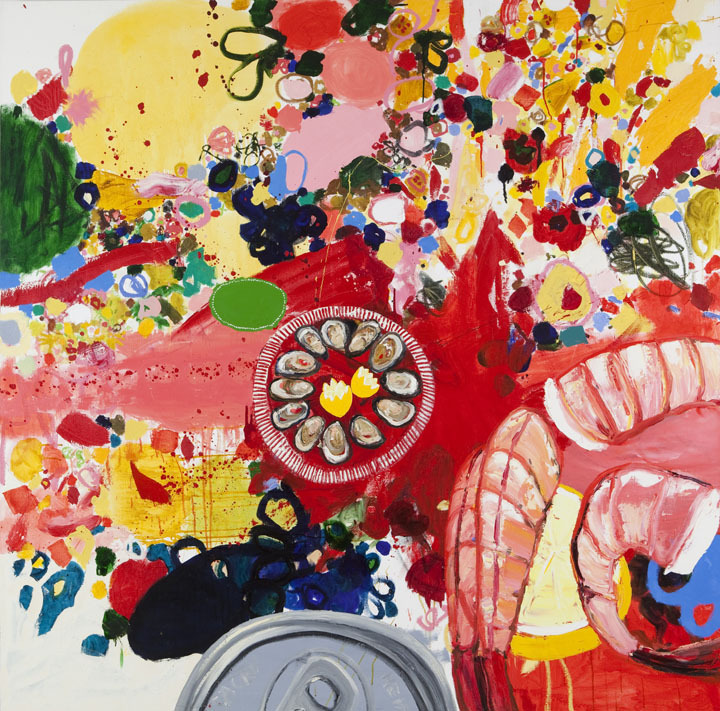 Miller is well-known for her painterly compositions depicting sumptuous feasts of lobster, cupcakes, champagne and beer. While the welter of foodstuffs pokes fun at the American tendency to overeat, Miller’s charming sense of humor deflates any sense of scorn.